Simenon’s relationship with his most famous literary creation was filled with contradictions. Resentful at being primarily known as a crime writer he nonetheless enjoyed the royalty cheques that enabled him to travel widely and savour a comfortable lifestyle. Despite his publicly proclaimed aversion at being solely identified as the author of the Maigret novels, he recognised that securing a film deal would be profile-boosting and offer the promise of long-term financial security. In interviews, Simenon would frequently claim not to have viewed the adaptations of his work before offering a detailed critique of the actors who had played Maigret. Simenon’s public stance of indifference is at odds with the actions of a man who acquired and destroyed prints of adaptations he thought had failed to convey the true essence of his novels. In interviews, he talked of drawing up contracts that specified the adaptation had to be destroyed after a set number of years. By the late 1940s, the character of Maigret had already appeared on screen in productions starring Pierre Renoir, Abel Tarride, Harry Baur, Albert Prejan, and Maurice Manson. English-speaking audiences were introduced to the character with the release of an American adaptation of The Man on the Eiffel Tower. A versatile actor, Charles Laughton is perhaps best remembered for directing the Film Noir The Night of the Hunter. In the late 1940s he was one of British cinema’s most significant screen talents. Accustomed to playing a wide range of parts the acclaimed performer was the first actor to play Agatha Christie’s Hercule Poirot. Despite being no stranger to crime drama having also played a gangster in the mould of Al Capone in Edgar Wallace’s play On the Spot his casting as Maigret may have surprised audiences but it pleased Laughton’s bank manager. When Laughton was initially approached to play the part producer Irving Allen was slated to direct the film. The Man on the Eiffel Tower had previously been filmed in 1933 as La Tête d’un Homme. Erroneously reported as the first English language adaptation of a Simenon novel, the 2013 discovery of previously lost quota quickie film Temptation Harbour based on the short story Newhaven-Dieppe starring Robert Newton and future Doctor Who William Hartnell has forced Simenologists to redraft the author’s screen history. Despite the relegation to second English language adaptation of a Simenon story The Man on the Eiffel Tower still holds the notable distinction of being the first American production based on the author’s work. Based on the ninth Maigret novel A Man’s Head the film was a joint American-French co-production. In addition to introducing a new audience to the work of Georges Simenon, the film showcased post-war Paris. At the time of production Simenon was living in Arizona. Yet to achieve anything resembling mainstream success in America he had a dedicated cult readership. With an acclaimed and bankable star on board, the film may have offered the opportunity to attract a wider audience for his books. 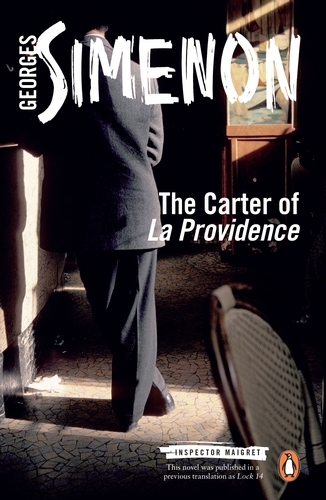 Surprisingly, considering the film’s importance in establishing the Maigret novels commercial viability in a previously indifferent territory, Simenon elected to be critical of the central star’s performance. For several decades The Man on the Eiffel Tower was considered to be a lost film. Reports suggest that Simenon ordered the destruction of all prints. Little known among Laughton aficionados and Simenologists, a false perspective about the film and it’s perceived failings became accepted as fact. UCLA’s discovery of two projection prints enables the film to be studied for the first time since its original release. What was previously a minor entry in the history of post-war cinema takes on a fresh significance in terms of offering previously unknown evidence about the French film industry’s strategy for representing Paris within the context of genre cinema and for how approaches taken by the film have influenced subsequent English language adaptations of the Maigret novels. According to biographical accounts, Laughton was financially embarrassed when he was offered the opportunity to play Maigret. His acceptance in all likelihood probably was due to the need for an instant cash injection rather than a fondness for Simenon’s novel. Having agreed to play the part Laughton was thorough and diligent in his preparation. Intensely studying all available translated editions of the Maigret novels he soon gained a sense of the detective and his world. Determined to be truthful to Simenon’s creation, Laughton searched multiple Hollywood costumiers for clothing that would enable him to build an accurate and sympathetic character. Having constructed his version of Maigret before the cameras started rolling Laughton may have anticipated a stress-free shoot. According to contemporary press reports, it was a tortuous production. Precisely who directed The Man on the Eiffel Tower is far from clear-cut. Producer Irving Allen was originally slated to direct the film. After three days of shooting, he was forced to resign the director’s chair when an enraged Laughton threatened to quit the production. To mollify the lead actor Allen agreed to his request that Burgess Meredith who had already been cast in a supporting role oversee the remainder of filming. More recently, reports have suggested Laughton directed several key sequences without credit. Scholars have also claimed that co-producer Franchot Tone directed scenes which featured Laughton and Meredith in the same frame. Promoted as the first American colour production to be filmed in Paris, the screenplay was adjusted to showcase the city’s most famous monument. Throughout filming production was held up due to a variety of unforeseen factors. Weather delayed filming, the co-producer and Laughton argued ferociously, and electrical problems led to frequent blackouts. Praised by Renoir and warmly but not effusively reviewed by critics, the film fell into relative obscurity and for decades the only available information was found in biographies. UCLA’s discovery of two previously unknown prints has resulted in a reappraisal. Now seen not only in terms of its place within the canon of Simenon screen adaptations, critics have suggested that the film is a rare example of a colour film noir. The Man on the Eiffel Tower is available to order from Amazon. For French viewers, Bruno Cremer’s performance of Paris-based detective Maigret is the interpretation against which all others are judged. Owning the role in the way that Jeremy Brett and Joan Hickson did respectively with Sherlock Holmes and Miss Marple, Cremer’s realisation of the pipe-smoking detective is the most authentic screen embodiment of Simenon’s fictitious sleuth. Premiering a year before ITV’s Michael Gambon starring adaptation, the Cremer series remains a regular fixture on French TV thanks to constant repeats. Running for fourteen years, the producers originally intended to adapt the entirety of the Maigret canon (75 Maigret novels and 29 short stories). 54 feature-length episodes were filmed before plans were abandoned due to Cremer’s ill health. Best known to English-speaking audiences for his appearance in William Friedkin’s 1977 remake of Henri-Georges Clouzot’s The Wages of Fear, Cremer appeared in more than fifty films. He worked with many of Europe’s most prominent directors, including Costa Gavras and Luchiano Visconti. Already in his early 60s at the time of casting, Cremer had the unenviable task of following Jean Richard who had played the role on French television since 1965 and for an entire nation was Maigret despite being publicly derided by Georges Simenon. Cremer’s core appeal was that he perfectly conveyed Maigret’s world-weariness, compassion, and humour. Restoring credibility to a character that over the course of numerous adaptations been reduced to a hat wearing sleuth, Cremer’s fondness for the novels and determination to be true to the source material resulted in the most complex portrayal to date. Comprising the first six feature films, this DVD boxset is more faithful to Simenon’s material than ITV’s recent Rowan Atkinson starring version. Despite its age, the series remains a satisfyingly atmospheric recreation of Simenon’s world thankfully devoid of the ersatz Frenchness which has plagued other adaptations. If you’ve discovered Maigret via Penguin’s issuing of newly translated editions this should be your next DVD boxset purchase. Maigret – Season 1 is available to order from Amazon. Sacré bleu, ITV’s over hyped adaptation of Simenon’s Maigret novels is très boring. Ranking alongside Sherlock Holmes, Hercule Poirot, and Phillip Marlowe as one of the world’s best-known fictional detectives, Jules Maigret was created by the prolific Belgian writer Georges Simenon. First appearing in 1929’s Pietr the Latvian,75 novels featuring the pipe-smoking detective were published between 1931 and 1972. Staking a claim to inventing the police procedural, Simenon’s innovations also included an emphasis on the social, emotional, and psychological aspects of criminality. Transforming the genre, Simenon used its conventions to show what could push a person over the edge. Illustrating the authors belief in man’s fundamental irresponsibility the crimes featured in the Maigret novels are a response to a moment of crisis. With Maigret Simenon didn’t just invent a new type of hero, he also created a distinct sub-genre. Standing apart from any fictional detective published up to that point, Maigret’s methods and raison d’être established the character as unlike anything published before. Equal parts secular priest and psychologist, biographers have suggested that the detective represents the person Simenon would like to have been while the criminal elements are literary representations of who he might have become had his life taken a very different turn. One of the novels many innovations was its rejection of tired tropes exhausted by the puzzle school of crime fiction which focused on unmasking the killer and made little attempt to dramatise his emotional backstory. Written from a humanistic perspective, the Maigret novels seem less concerned with apprehending the assailant than discovering what had tipped an ordinary person over the edge and led to them committing horrific criminal acts. Emphasising his difference from other literary detectives Maigret’s compassionate approach to policing involved offering the perpetrators one last chance of redemption before the judicial process took over. Famously written over several days, each of the novels is an economically told stark exploration of society’s disenfranchised and dispossessed. Deliberately using a restricted vocabulary, Simenon’s atmospheric descriptions bring alive a now vanished France. Widely read, according to the UNESCO Translation Index Simenon is the seventeenth most translated author. A number of accomplished actors have played the pipe-smoking detective on screen and radio. For a generation, the Rupert Davies starring series is the definitive version. More recently Michael Gambon and Bruno Cremer have introduced successive generations of TV viewers to Simenon’s work. Following in the footsteps of some illustrious predecessors, Rowan Atkinson is the latest actor to play Maigret in a series which promised so much but ultimately failed to deliver. Simenon’s work seemed to be bullet-proof and was able to withstand a mercifully now forgotten production starring Richard Harris who seemed to be under the misapprehension he was playing the then Labour leader Michael Foot. This latest heavily promoted series reaches the screen as Penguin books is issuing newly translated editions of the books. On paper, this series should have been a sure-fire winner. Expectations were high for the lavishly budgeted production. Initial optimism soon faded when critics realised ITV had delivered a misjudged adaptation which transforms two of the twentieth century’s most notable crime writer’s novels into a tortuous yawnfest. Rowan Atkinson reportedly devoured the novels prior to playing the part. Physically he bears very little resemblance to the stocky detective in Simenon’s novels. Previously known as a comic actor his performance is too rigid and downplays the books’ humour. Lacking the passion of Bruno Cremer’s interpretation, Atkinson’s understated portrayal occasionally comes across as a one-note performance. Expanded for the small screen, Simenon’s tightly-plotted novels rich with social detail have been transformed into ponderous and unfocused period police dramas devoid of anything resembling atmosphere. A diversion to kill a few hours, even if the slow pace will make them feel like forever, Maigret is a misguided adaptation which does a great disservice to Simenon and his most famous fictional creation. Filled with a supporting cast unsure if they should play it straight or parody the material, it is an uneven series. Bland cinematography adds to the show’s many deficiencies. Avoid and buy the books instead. Maigret is available to buy from Amazon. Renowned French film star’s Maigret trilogy. Despite being largely unknown to English audiences, Jean Gabin was one of French cinema’s biggest stars. The son of music hall artistes, he initially had no interest in an acting career. After a period working as a labourer and warehouse clerk he was cajoled by his father to join the Folies Bergère. Graduating from bit-parts to a leading man, he demonstrated an ability to play a wide variety of roles. He started a screen career at the dawn of the talking picture era. A commanding screen actor, he appeared in 95 films in a career that lasted over 40 years. Performances in Pepe Le Moko, La Grande Illusion, La Bete Humaine, Le Jour se leve, and Le Quai des brumes were critically acclaimed. One of the pre-war period’s biggest stars, his career’s trajectory was interrupted when hostilities erupted across the continent. In stark contrast to Georges Simenon, Gabin refused to collaborate with the Nazi regime’s film industry. Relocating to Hollywood, he was offered a contract by Twentieth Century Fox and promoted as “The Spencer Tracy of French pictures.” An artistically fruitless period, he made Moontide for Fox and The Imposter for RKO. A third project, The Temptress, was canceled when he demanded that the producers cast Marlene Detrich as his co-star (Gabin and Dietrch were real-life lovers). Told that he would never again work in Hollywood, Gabin enlisted in the French liberation forces and fought against German troops in Africa. At the end of the war, he returned to acting. No longer a matinee idol, he played a succession of everyman parts. Gabin and Simenon’s careers first intersected with the 1950 adaptation La Marie du port. A 1958 film En cas de malheur based on Simenon’s romans dur In Case of Emergency saw Gabin act alongside Brigitte Bardot. Also released in the same year was the first of Gabin’s three cinematic outings as Simenon’s pipe smoking Inspector Maigret. By the late 1950s, Delannoy’s reputation had been tarnished by a string of sub-standard films and criticism by François Truffaut. Attuned to the cinematic possibilities of Maigret, the director had considered adapting a Simenon novel for several years before securing the cinematic rights to Maigret Sets a Trap. With a reputation for directing solid thrillers including Le garçon sauvage and La minute de vérité, he may have considered an adaptation as an opportunity to restore his box-office fortunes. First published in 1955. The English translation of Maigret Sets a Trap was issued in 1965. The book has been adapted several times. A recent adaptation starring Rowan Atkinson was poorly received by critics. Delannoy’s version is the most satisfying adaptation. Primarily known in English-speaking territories as Maigret Sets a Trap, prints were circulated with the alternate titles Inspector Maigret and Woman-Bait. The film and its two sequels were the last big screen outings for Simenon’s detective released prior to the character migrating to the small screen. An atmospheric adaptation blessed with supreme production design. Indebted to Film Noir and aware of the urban environment’s importance in the Maigret novels, the director ensured the film made the story’s location the de facto star. An entire district was slavishly on a soundstage. The decision to shoot the majority of the action on a studio lot enabled the director to exercise total control over the environment. Hybridising American and French approaches to crime films, Delannoy’s location sequences employ expressionistic camera angles favoured by Film Noir directors and attempts to document a city still scarred by war and in the throes of modernisation. Claustrophobic, tightly coiled and utterly focused, it’s hard to see why Delannoy’s film isn’t better known in the English-speaking world. Maigret Sets a Trap is sensitive to the humanistic philosophy expressed in Simenon’s novels. The film has many reasons to recommend tracking down a copy; tight plotting, thematic complexity, a distinguished supporting cast. At it’s core is an electric portrayal from one of French cinema’s most popular actors. Stripping away the over reliance of props that had plagued previous attempts at filming Maigret, Gabin’s performance conveyed compassion and solidity. Simenon was pleased with Gabin’s interpretation and is alleged to have suggested that future Maigret novels might be influenced by the performance. A box office hit in France, Maigret Sets a Trap was seen by more than 2,500,000 cinemagoers. It was nominated for a BAFTA and won an Edgar Allan Poe award. The film’s producers commissioned a sequel to satisfy a public clamouring for further cinematic adaptations. Released in 1959, Maigret and the St. Fiacre Affair is considered by critics to be a less successful film. Adapted from a novel first published in 1933, the film contains a number of elements that will delight Maigret enthusiasts and Simenonologists. Leaving behind the first film’s urban environment, the sequel relocates to a small village. Maigret is visiting his childhood home at the request of the Duchess of Saint-Fiacre. She has recently received an anonymous letter stating that she will soon die. When she suffers a fatal heart attack during a religious service the local doctor pronounces she died of natural causes. Maigret is not satisfied with the diagnosis and is convinced the Duchess was murdered. Tonally very different from its predecessor, the portrait of a once-great family in decline is indebted to Agatha Christie and Citizen Kane. Delannoy once again demonstrating a sympathy for themes present in the originating novel, effectively balances moments of joy and intensity. Jean Gabin played Maigret one final time in the disappointing Maigret Sees Red. Jean Delannoy declined an offer to return to direct and was replaced by Gilles Grangier. Released in the UK shortly after the finale of the BBC’s highly-praised adaptation featuring Rupert Davies, Grangier’s film was largely ignored. Gabin’s performance is not enough to save the film. Not entirely unwatchable, it suffers from having a director too much in awe of American B-pictures and a lack of enthusiasm for the work of Georges Simenon. Jean Gabin’s Maigret deserved a better final investigation. Maigret Sets a Trap is available to order from Amazon. Maigret and the St. Fiacre Case is available to order from Amazon. Maigret Sees Red is available to order from Amazon. Joycean novel recreates Simenon’s childhood. Intended as the first volume of a trilogy, Pedigree stands apart from the rest of Simenon’s output. Borne out of a long-standing ambition to write an extraordinary novel and a response to a personal crisis, the prolific author’s magnum opus is a fictive redrafting of a memoir that has yet to be translated into English. After an accident chopping wood Simenon experienced acute chest pains. Fearful that he might have broken a rib Simenon visited a radiologist in Fontenay-le-Comte. Misreading an X-ray the radiologist told Simenon that because his heart was enlarged he would be dead within two years. For decades this misdiagnosis and the subsequent decision to write a memoir so that his son would about his lineage was an accepted part of Simenon’s mythology. Pierre Assouline’s biography claims that the spectre of death was lifted two weeks later when Simenon consulted several doctors who advised that the initial prognosis may have been due to wrongly positioned photographic equipment. This reminder of mortality occurred during a period of renewed literary activity. After an abortive attempt to retire Inspector Maigret Simenon sought to cement his literary reputation with a series of ‘roman durs’ (hard novels). Determined to transcend the confines of genre fiction the books written immediately after the publication of Maigret Returns were bleak studies of deviancy without the prospect of redemption. Before the war Simenon had mentioned in correspondence his ambition to write a different form of novel. Contractually committed to writing three Maigret novels, he had to wait until the manuscripts had been delivered before commencing work on what was intended as his signature work. The recent misdiagnosis and France’s occupation may have preyed heavily on Simenon’s mind as he sat down to create a historical account of his family. Dedicated to his son Marc, the finished text was eventually published as Je me souviens. It remains one of the few Simenon books not translated into English. After reading Je me souviens prior to publication André Gide advised Simenon to abandon the book and redraft all material as fiction. The revised text was published in 1948 and is an essential read to understand the biographical significance of themes prevalent throughout the ‘roman durs’ and Maigret novels. Chronicling a family in the Belgian city of Liege during the years 1903 to 1918, Pedigree’s length, time taken to write, subject matter, and narrative structure marks it out as an atypical entry in the Simenon canon. Simenon typically wrote in novel in seven to ten days. The writing of Pedigree represented an exorcism, possibly a painful one. In a break from his ritualised routine, it took him two years to finish the novel. A further five years would pass before it was published. Confronting his feelings about people and a city that he had left behind in 1922 Simenon may have intended to finally purge himself from the influence of a life which continuously manifested itself through his novels. In a repeat of the furore that greeted the publication of Je me souviens, Simenon was hit by several lawsuits from people who felt they had been libelled. Pedigree’s second edition removed offending passages and left blank spaces. The available version is sans the visibly noticeable blank spaces but has not restored the offending passages. Simultaneously bildungsroman and a roman-fleuve, Pedigree largely corresponds with what is known about Simenon’s early life. The chronology of certain events have been rearranged while others are purely fictitious. While some characters remain relatively unchanged from their real-life counterparts others are composites, or inventions. The absence of Simenon’s brother has provided scope for analysis by numerous biographers. Representations of Christian Simenon appear in several Maigret novels, most notably Pietr the Latvian. His exclusion is either revisionism as wish fulfillment, an acknowledgement of irreconcilable differences, or an attempt to avoid controversy concerning allegations that Christian collaborated with occupying forces during the war. Demonstrating that Liege’s inhabitants, weather, and topography would appear repeatedly in transposed form throughout the Maigret novels Pedigree is also a portrait of influences and obsessions that remained with Simenon for the rest of his life. Pedigree is published by NYRB. Discussion of Simenon’s remarkable productivity is frequently couched in terms of the seventy five Maigret novels and accompanying twenty eight short stories written over the course of forty one years. The twelve months following publication of Pietr the Latvian saw a further nine books issued, Simenon’s exceptional discipline and fecundity of creativity having been honed during a career in France’s pulp magazine industry. Estimates vary of the number books written before the creation of Maigret but conservative reckonings put the figure somewhere in the region of one hundred and eighty. An impatient writer, Simenon frequently invented the plot whilst writing a novel. Perhaps as a consequence of the decision not to prepare a detailed storyline before sitting down at in front of his typewriter, despite an ever present editor’s deadline, the prose is clear and direct whilst paying homage to classic French literature. Publicly pronouncements stressed the importance of creating commercially successful fiction not literary masterpieces but fans may, with some credibility, argue he achieved both. Despite having repeatedly proven he was able to deliver a book length manuscript on time, and often within incredibly short deadlines, the publisher was initially unconvinced about the Maigret novels. Suggesting that the books had limited to commercial appeal due to a lack of violence and an unromantic main protagonist, Arthème Fayard tried to coax Simenon into ditching them and returning to the fiction forms he was adept at churning out to order. Sales figures and critical response swiftly alerted the publishing house to the novels immediate viability and in subsequent decades the appreciation would magnify as international editions were issued and the production of numerous film and TV adaptations ingrained Maigret within popular culture alongside the other giants of detective fiction: Sherlock Holmes and Phillip Marlowe. The first novel, Pietr the Latvian, established the hero, his modus operandi, story milieu, and distinctiveness of the author’s voice particularly in comparison to the then prevalent schools of crime fiction. With meticulous concision Simenon painted vivid pictures of a France still scarred from the wounds of World War I and soon to be engulfed by The Great Depression. In cultural terms although working in a different medium and bound by the constraints of genre his documentation of now lost French buildings and social practices places him firmly alongside that other recordist of environments, Eugène Atget. 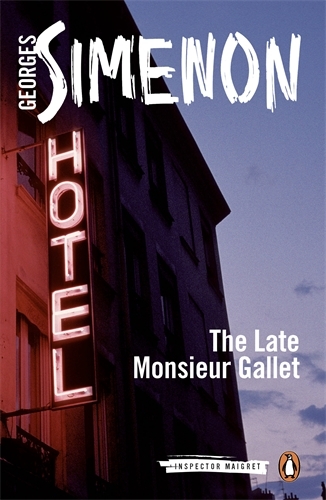 From the opulence of Parisienne hotel suites to less salubrious railway cafes, Simenon’s recounted civil minutiae with surgical precision, ensuring that then contemporaneous readers were able to appreciate his skill in placing Maigret within a fictional world that was a recognisably accurate reflection of the one in which they inhabited. Equally focused on the quest to apprehend the suspect and understand his motivations, Maigret employed the then relatively fresh additions of forensic science and psychology to the criminologists arsenal, ensuring he was able to see the foe as a fully drawn human being with hopes, desires, and foibles instead of a statistic on a a crime sheet. By taking equal care with constructing the antagonists’ backstory and making some astute decisions as to the precise moments when this information is revealed, Simenon justifies his position as one of the key writers in twentieth century crime fiction. Having spent much of the première instalment in this series trying to see beyond Pietr the Latvian’s false identity and discover the truth about a murky web of cross border gangland activity, The Late Monsieur Gallet sees Maigret investigate the death of a commercial traveller in a hotel room. A more intricate plot than its predecessor packed with melancholic despair and a forlorn cast of characters and places. The pipe smoking hero has to delve deep into the deceased’s past to discover what dark secrets could have led to him being murdered. Duplicitous lives are placed under the microscope by the Chief Inspector as he endeavours to peel away decades worth of ingrained falsehoods and determine how a seemingly impoverished man was able to finance an extremely generous life insurance policy. His professional curiosity piqued after witnessing 30,000 Francs being parcelled up and posted, Maigret follows the sender from Brussels to Bremen. The trail goes cold when the suspect takes his own life. 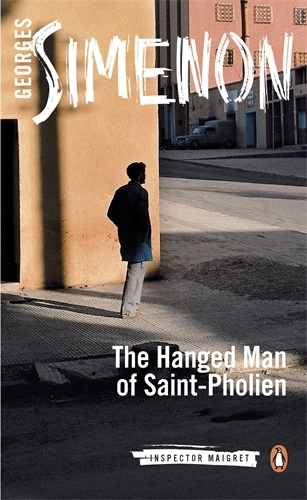 With just an empty suitcase, blood stained suit and forged identity papers to base an investigation on, The Hanged Man of Saint-Pholien sees the Chief Inspector haunted by guilt throw himself in pursuit of the mystery of why such a large sum of money was sent in the mail. Back in Paris the theft of his personal luggage propels Maigret to break through layers of deceit and intrigue as he sifts through the testimony of a group bound together by a dark secret. In The Carter of ‘La Providence‘ Maigret is dispatched to Dizy, Marne. A woman has been strangled, her identity unknown. A British lord arrives on his yacht and claims that the deceased was his wife. Traces of horse hair and tar are found on the corpse and suspicion falls on the crew of a barge that was parked nearby at the time of murder. Overflowing with descriptions of the 1930s French canal lifestyle, the book is an emotionally potent read and a window into a lost world.